This book gives a good overview of abbreviated breast magnetic resonance imaging (MRI) in relation to the screening programmes using mammography and other techniques. 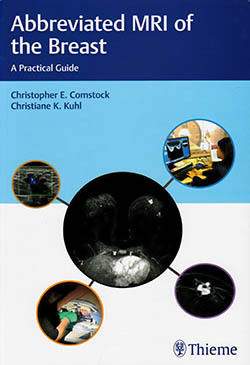 The most valuable part of the book for a breast care nurse readership is its section on clinical evidence, which puts breast MRI techniques into context. As the book is written from a US perspective, particularly in relation to healthcare costs, it isn't entirely relevant to a UK readership. However, given debates on the benefits of screening, diagnosis and identifying biologically inert disease, it could be informative as a reference book. I recommend it is read alongside NHS screening programme clinical guidelines and the NHS technical guidelines for MRI use.